What could be better than a Tampa Bay wedding in a unique, industrial style venue? How about one involving kittens from a local Tampa Bay animal rescue? 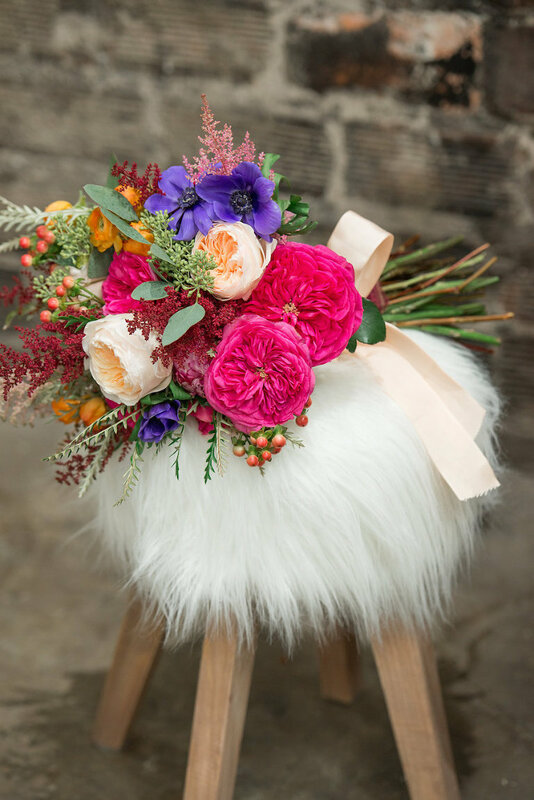 Tampa Bay wedding designer Cassandra VanCuren of Ever After Vintage Weddings has set the bar for creativity in this cat inspired wedding styled shoot with a boho, garden twist. 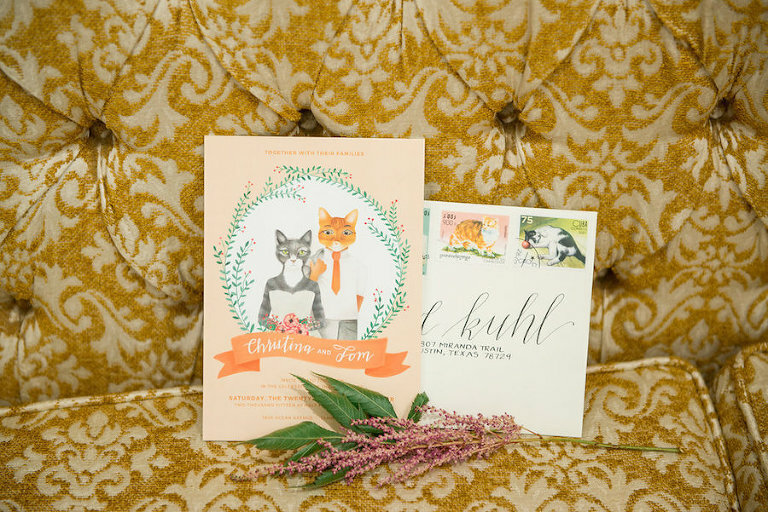 The idea for this furry friendly wedding came from a unique grown up coloring book gifted to the designer and from a colleague, who had asked to collaborate on a cat themed shoot. Instantly inspired, Cassandra described the coloring book, which was covered with cats in glasses, suits, tattoos and other fun attire and was ready to bring it into reality. A traditional Tampa Bay wedding venue wouldn’t do for this quirky styled wedding. The designer searched for location that had character and textured elements. Although the stunning decor and vibrant florals captured our eye, the real stars of the shoot were the five kittens from Cat Crusaders Inc. The feline focused non-profit helps rescue, vaccinate, spay, neuter, and find homes for stray and neglected cats. This adorable styled shoot leaves us wanting to plan our next party with our favorite four-legged friends! We titled our shoot Fur Ever Love. 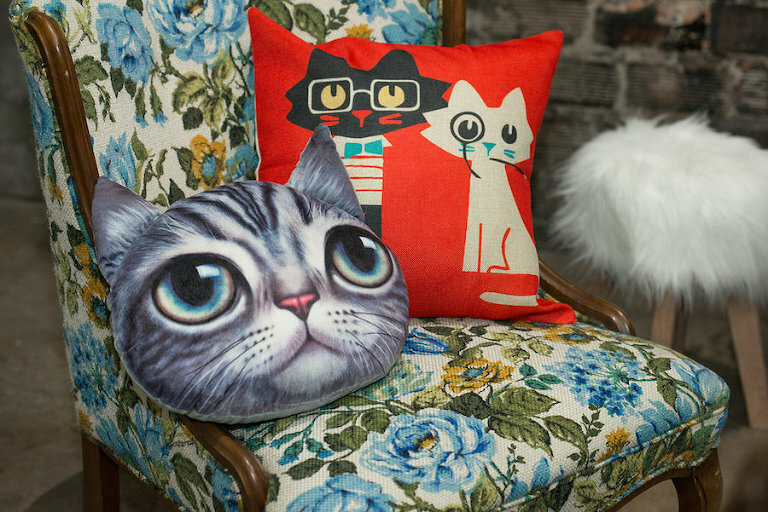 Besides the obvious love for cats, I would describe our shoot as a fun play on vintage hipster, with a touch of industrial style. It was very eclectic. I selected this style because given the theme it appeared to be an appropriate match. For the most part, I wanted the shoot to be colorful to fit the style, but we planned it during the Fall, so I did decide to make sure we incorporated some warm colors. Our primary colors were burgundy, reds, peach, copper and gold. The nice thing about the theme of this shoot is you can use a mix of styles and items you already own to help pull it together. If you don’t have items, but you have time, flea markets and thrift shops are good ways to find pieces. 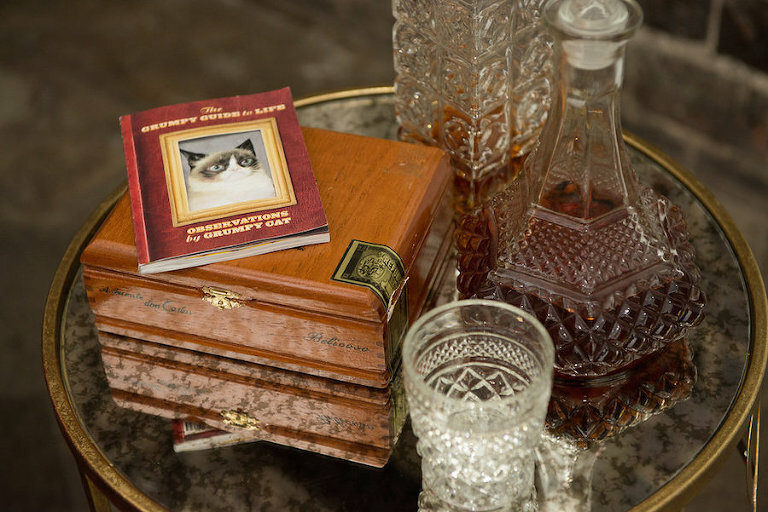 For this shoot we gathered cat figurines from local thrift shops and painted them gold for a more consistent look. The cost for this, or any other vintage or eclectic theme wedding varies greatly on what you, or love ones may or may not already own. This estimate would be based on if you had hire vendors to do it all for you. Invitations: $800-$1,000 | Vintage Dish Rentals: $1,000 | Vintage Rentals & Design: $1,500-$2,500 | Ghost Chair Rentals: $1,500-$2,000 | Farm Table Rentals: $2,000 | Bride’s Attire: $150 | Groom’s Attire: $50 (thrift stores) | Small Cake and Cupcakes: $250-$500 *This estimate does not include all aspects of a wedding such as officiant, catering, favors etc.